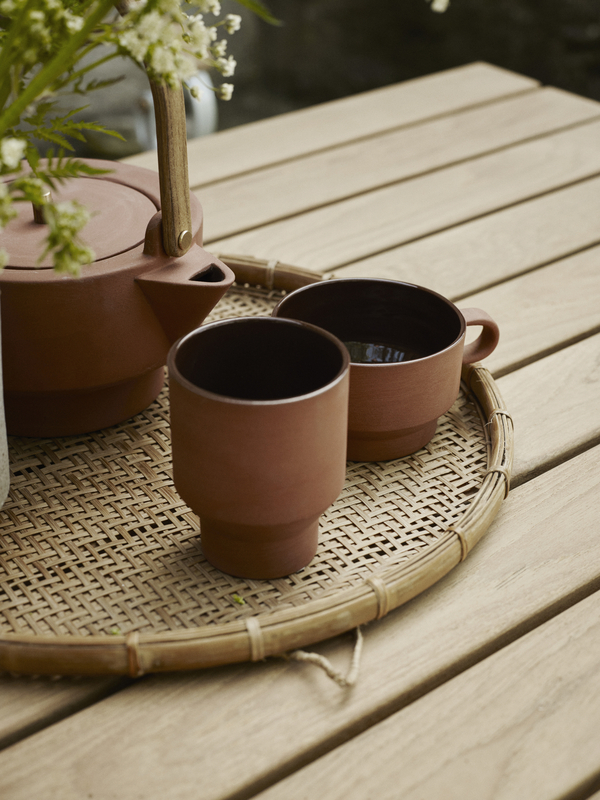 The new Edge tea set and vase in burned-red terracotta combines an ancient craftsmanship with a modern understanding of interior design. The result is a stunning meeting between the raw and the refined – poised between Nordic simplicity and Greek-Egyptian elegance. 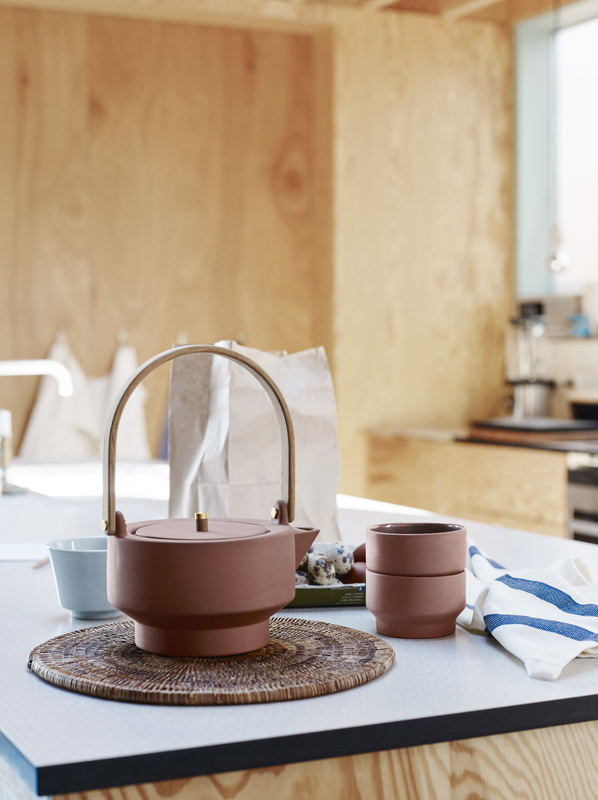 Just like the rest of the Edge Series, the new tea set and the vase are designed by the Danish design duo called Stilleben – meaning ‘still life’. 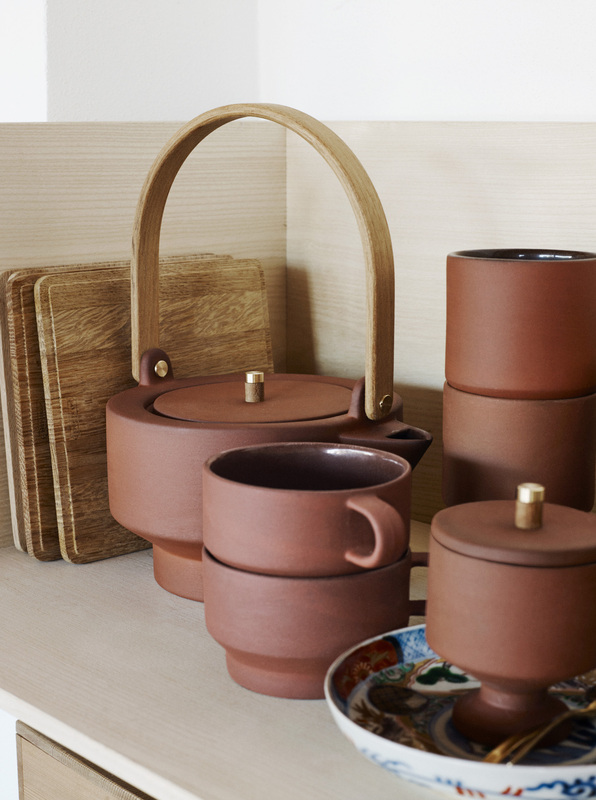 Edge tea set is for everyday life as much as it is for festive and special occasions. It consists of a wide range of elements, counting everything from cups and mugs to a sugar bowl, a jug and – last but not least – a teapot. 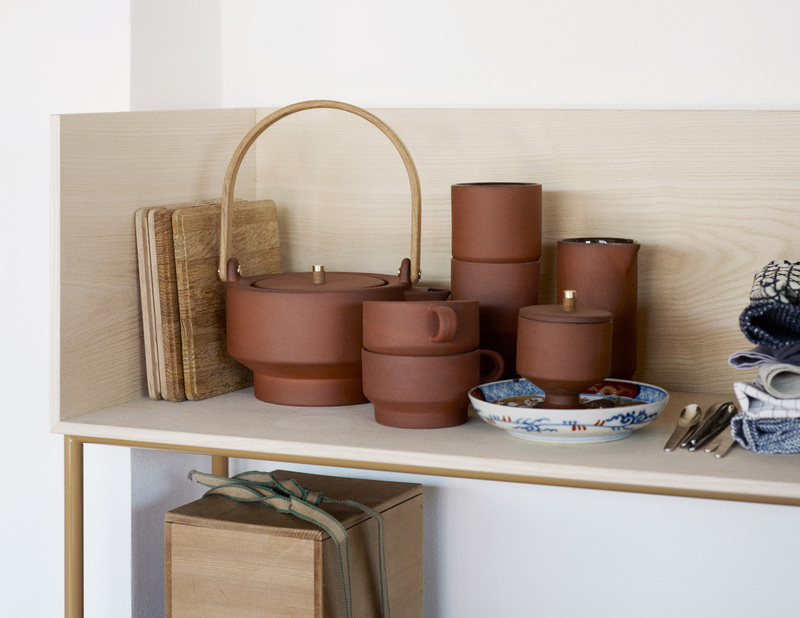 Similar to the Edge Vase, the components in the new charming tableware are all carrying the raw and red-burned look on the outside while the inner surface has been glazed, making it easier to clean. Except from the teapot and the sugar bowl, the tea set goes perfectly fine in the dishwasher. The play between the raw and the refined is underlined with the addition of elements made from other materials. Edge sugar bowl has its small handle made from a composition of teak and brass. 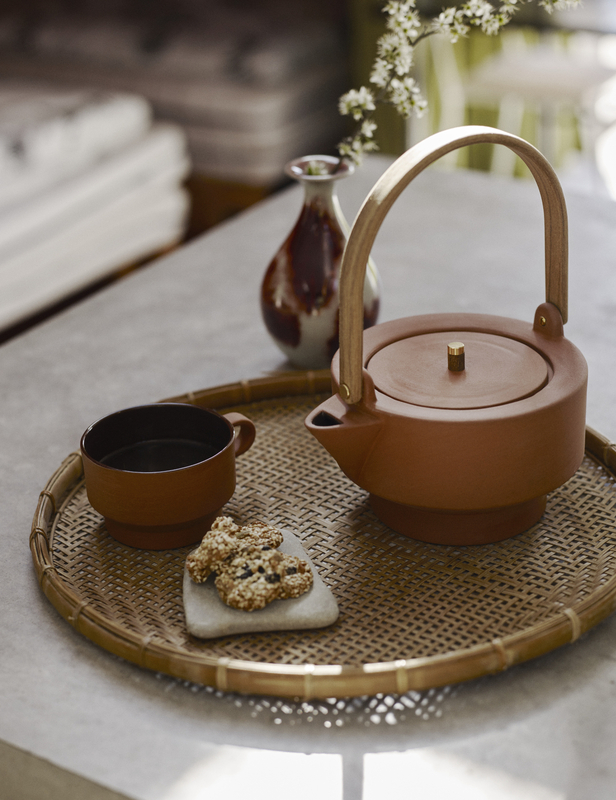 On the teapot, the overall handle in teak is fastened with small shiny brass bolts, and the small lid has a brass-teak handle similar to the sugar bowl.